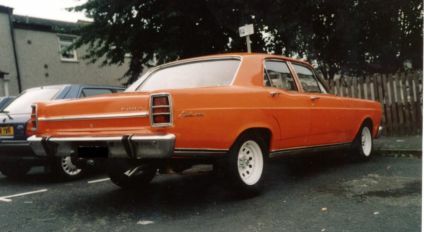 Steve’s ZC Fairlane is another unusual car whose history is unknown. 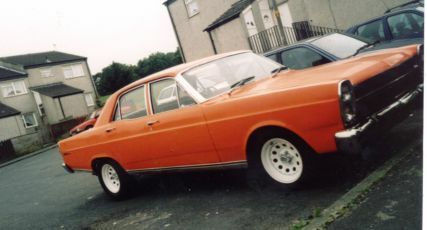 We do know from the VIN that it was built in June, 1970 and it is fitted with a 302ci Windsor design engine and a three speed automatic gearbox. 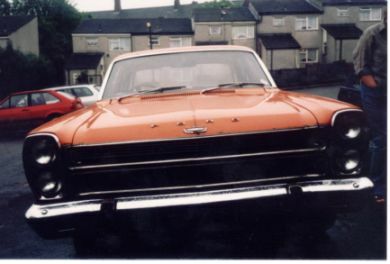 Sadly, Steve had to sell this car (March, 2003) but we would be very interested to hear from its new owner. Fairlanes are rare here in the U.K. The only two others that we know about, a ZD since scrapped due to rust, and a ZF, were both personal imports. While we think that Steve’s car was imported in 1971, if anyone knows for sure whether Fairlanes were imported and sold by U.K. Ford dealers please contact us. I am vaguely aware that there was a ‘big’ blue Australian Ford in the Paisley area some years ago, and I do recall seeing it. My memory plays tricks, but with the knowledge I have now, I think it was a ZH. It would be interesting to find out where that car went.